The iPads used by Savremena International Students during lessons are a kind of electronic notebook that makes for a much easier, more interesting and interactive learning experience that is above all truly unique. Each iPad comes with a pre-installed bundle of educational apps designed to facilitate your learning by making the content more fun and easier to digest. First and foremost, during lessons Savremena’s students can use the apps that came with their tablets as well as the iTunes software for downloading video and audio materials. In addition, the iPads support a number of Google apps for education that enable students to study Geography with the help of the Google Earth and the Google Maps app, practice and master geometry with Google Drawing, revise, answer questions and do their homework through Google Docs, Google Sheet, Google Slide and Google Forms, and communicate with their teachers through the Gmail and Google Hangouts service. Students can use special subject-specific apps on their iPads. As a part of their biology course, for example, students can explore 3D models of organisms and find out everything they always wanted to know with the help of apps like 3D Cell, 3D Brain, 3D Bones and Organs. The days of when maths would give students nightmares are over. When practiced through iPad apps like PCalc Lite, Calculator, iMathematics, PhotoMath, Mathletics, Geometry Pad and Geometry construction tutor, Maths is sure to go from your least favourite to your favourite subject. The same goes for chemistry which is also an often dreaded subject - but not by our students. 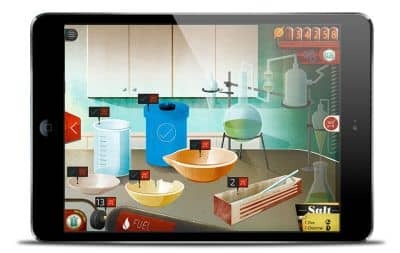 The ChemCrafter application enables you to create your own laboratory and conduct fun and creative experiments. Our young chemists may also find apps like Periodic table, Elemental and Chemist free quite interesting. Explore, experiment, learn and discover through an array of fun games. The History of the world application is sure to make you love history, while the WWII Lite: History Challenge will teach you everything you need to know about World War II. Explore the world and go back to the 15th century and the time of Europe’s rapid expansion in a game called European Exploration, or get to know the ancient civilisations through the Five Thousand Years app. Learn World Geography will make learning capitals, rivers, mountains and lakes much more interesting. With just a few clicks, the Museums of the World app will let you visit the most famous museums in the world, see the works of the most talented artists of all time and explore your newfound love for art history. If space is more your thing, and you want to know more about stars, planets, satellites and other extraterrestrial objects, Amazing space journey and the NASA app are just the thing for you. Given that Savremena is a bilingual school, in which both Serbian and English are used as official languages, applications like Dictionary, Kindle, Inkling, TED, TED books and Audible are extremely useful because they enable you to practice your language skills in a fuss-free and exciting way. Duolingo, Learn with Babbel and Bilingual dictionaries are some more language apps that can be used for mastering Italian, Spanish, German or any other language you have always wanted to learn. The Bundle applications are especially useful for the Cambridge and the Combined Programme because they enable students to efficiently acquire the necessary knowledge in all of their IGCSE courses. The most important of the Bundle apps include GCSE videos and GCSE questions by LearnersCloud, GCSE by Revision Buddies, GCSE by GCSE Exams, iScience by Mobile and GCSE Revision. When it comes to IT knowledge, which is an essential part of the education Savremena’s students receive, without which the success in further education and in any profession for that matter would not be possible, our students learn to master web design, web and application development, database management and video game production. Treehouse, Udacity, Hopscotch, Swifty and Emaze are the applications we have prepared for our students to help them in the process. Savremena’s students also study the foundations of modern business practices in preparation for the day when they finally step into the corporate world or start up a company of their own, thanks to the apps like 50 business lessons, How to write a business plan, How to start a business, Google my business and Business development tips which can be found on their iPads. 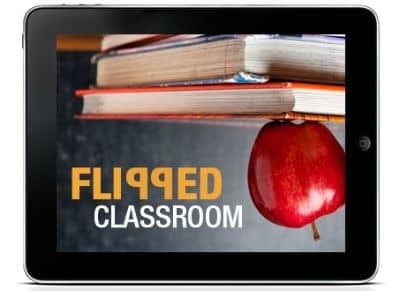 All those who wish to learn through watching content that is as interesting as a TV show, and those who wish to complement their knowledge in various subjects and fields of interest can make use of the so called “Flipped Classroom” applications. In the “Flipped Classroom” on their iPad, students can find the Khan Academy and learn maths, biology, chemistry, physics, the arts, history, IT and music in a unique way. The bundle also includes the most famous free application called Coursera, informative and practical TED talks on various subjects and a host of other apps like Knowmia Teach, Wikipedia, Slideshare, Diigo, Pearltree and Educreations. At the end of each lesson, you can test your knowledge and have fun doing it together with your classmates with the help of different kinds of quizzes and applications including: Nearpod, Quizlet, Brainscape, Flashcards, Schoology, Edmodo, Socrative Student/Teacher, Gojimo, Quizmaker, Brilliant.org, Elevate, StudyBlue etc. For example, Edmondo is an application used for giving students research topics, playing educational games and quizzes and conducting interactive discussions with students. Here, on their profile, students can can keep track of their assignments, the comments their teachers have left them and their achievements. The Kahoot application enables teachers to create an interactive online quiz which students can do together and then compare their result. If you prefer to learn from various kinds of video, audio or multimedia content, you will be pleased to know that the following applications are just a click away on your iPads: Vimeo, Youtube, PS, Express, Retrica, SketchBook, Sketcher, Snapseed, Beatwave, Shazam and ThingLink. These applications are also what your teachers use to make your lessons more interesting. Foxit and Tiny Scanner, as well as standard Microsoft apps like Word, Excel, Powerpoint, SkyDrive, OneNote and Swaya, make students’ lives much easier by enabling them to safely open pdf documents, scan anything they need, create and use written documents, presentations etc. Students can also exchange their thoughts, ideas and suggestions among themselves and with their teachers through the Brainstorm application. Prezi, Vimodi and Pear Deck are just some of the applications Savremena’s teachers use in preparing their lessons to create unique and interesting presentations for the subject matter that they teach. The Coggle tool enables teachers to present the underlying connections within complex phenomena and the interrelation between different phenomena in an interesting way. 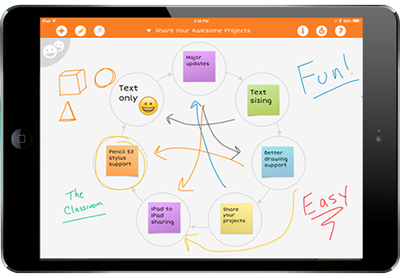 In addition, the Storyboard That app facilitates teaching and storytelling on a digital format. With the help of the Blendspace application, teachers can make sure their lessons are truly unique, PowToon, ToonDoo, Make Beliefs Comics and Zimmer Twins enable users to create animations to make learning as fun as watching cartoons and with Literatu they can evaluate the efficiency of their teaching methods, presentations and tools. 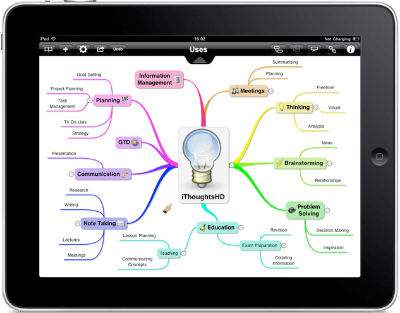 Teachers employ interesting concepts to draw parallels between various fields, terms, thus creating a mind map with the help of the iMindMap HD application. Mind maps make the revision process for students much easier. They can create their own for a project they are working on or the body of knowledge they acquired. Both students and teachers can use Pindex, InstaGrok, Spiral and Google Inside Search to explore the world around them and expand their knowledge of physics, chemistry, biology, history and English, while Pinterest enables them to become inspired and discover new ideas. Learning has never been easier and more interesting! Explore, discover and enjoy!